I can’t believe it’s May. I’m almost to the end of my year of stash quilting! 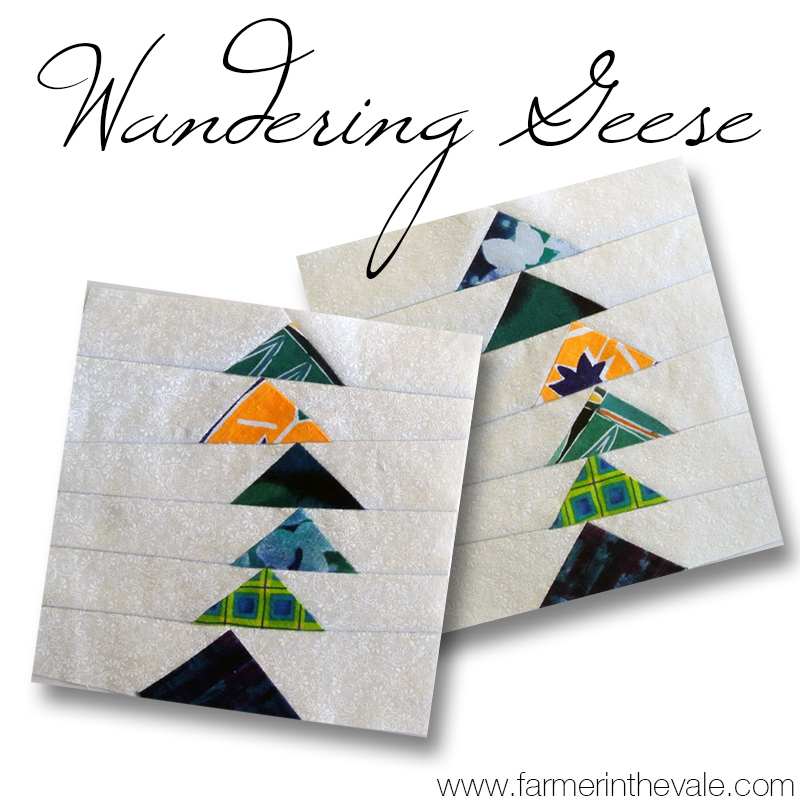 For this month’s project, I extended my wandering geese squares into long strips. As the strip progresses the geese separate. I created two strips which wander in opposite directions. I thought it looked too plain when the two were placed side by side so I added a bright center strip and a vivid sash. This project was complete improv. 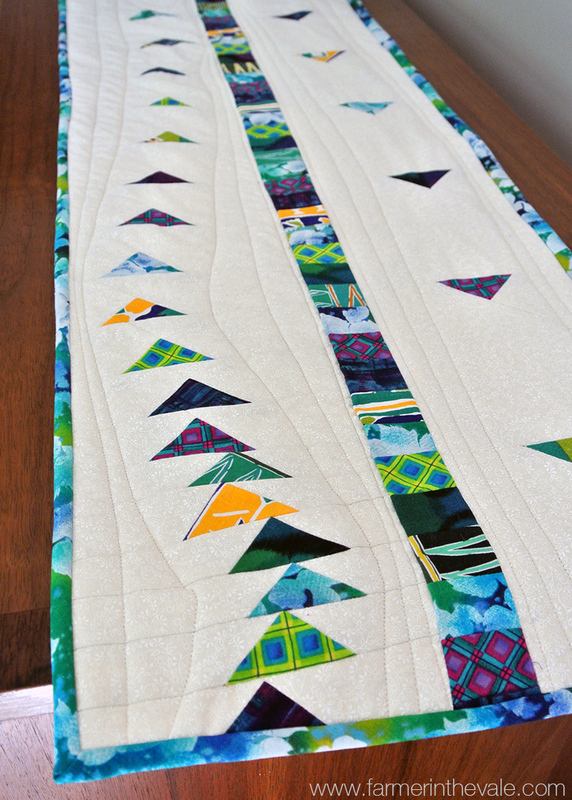 I discover that improve piecing equals lots of left over scraps! While I love the look of my finished pattern, I need to find a more economical way to create the pieces for next time. I was glad I used stash fabric when I trimmed away so much material. 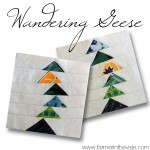 I thought about writing a pattern for this quilt, but it’s just too darn confusing and wasteful! I will try to develop a simpler method. Don’t despair, this is not the last you’ll see of wandering geese.